Welcome to the very first edition of World of Wine! 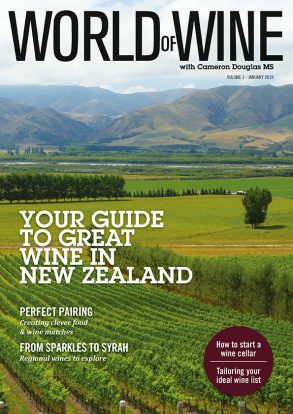 In partnership with New Zealand’s only Master Sommelier, Cameron Douglas MS, World of Wine is designed to enlighten and entertain with the very latest wine trends, regional discoveries, varietal highlights and food and wine pairing plus Cameron’s highly respected tasting notes. World of Wine is an educational resource for work or home. Read it online now!